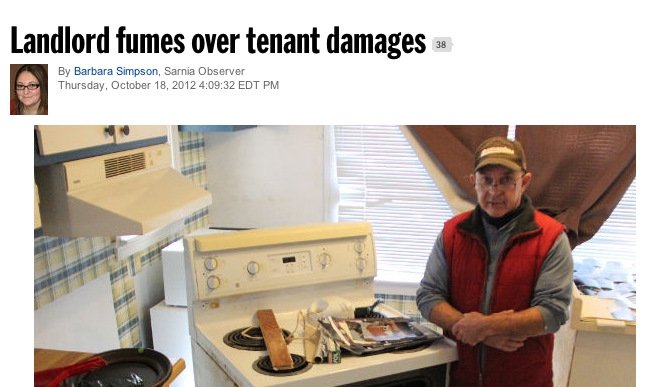 As most Ontario landlords know (or should know), once a tenant vacates a rental property you can’t make an application for damages to the Ontario Landlord and Tenant Board. Jean Guy Lecours, the victim in this case, now faces the only option he has left, which is to pursue damages via small claims court – which will undoubtedly cost a small fortune. Do you have a story like this? What are your thoughts on Ontario’s landlord and tenant laws?